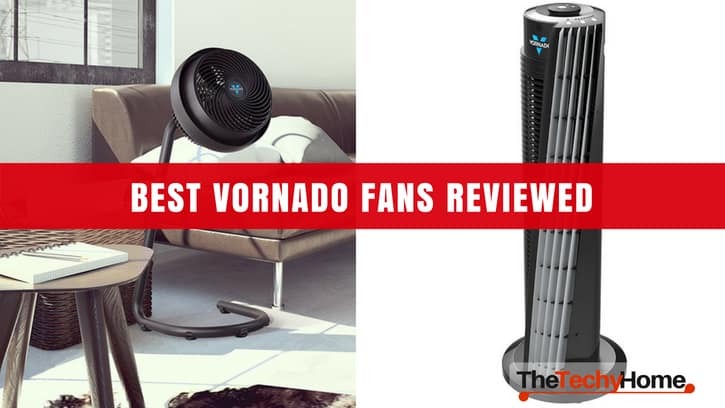 We know that there are many Vornado Fans reviews out there that would make you feel overwhelmed, so we’re going to make your job easier. 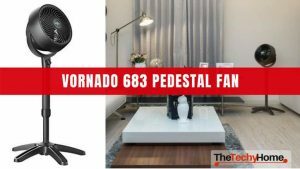 Today, we are going to dive deeper into the Best Vornado Fans market to see what these devices can do for us and what their main benefit is. We are going to compare several models and list some of their qualities, so that you can have an easier time choosing the right fan. 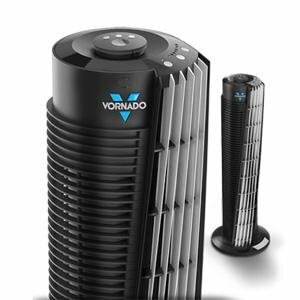 The powerful Vornado 154 is an air circulator that is going to help you cool down any room in your home. It belongs to the mid-sized models and it can allow you to cool down the room in seconds. This model is belongs to more expensive models we are going to present today, and you can also find it on Amazon.com for a price of 85.85$. This tower fan can be adjusted with a timer that can be set up to 1, 2, 4 or 8 hours. It has 4 speeds and it can cool down a space up to 80 feet. Motor makes almost no sound, so you don’t have to worry about the fan interrupting your daily routines or bothering you throughout the day. There is a 5 year warranty and the voltage it uses is US. The long grill is unlike the round models that more usual, but it allows the air to spread itself at a different angle and cool down the room in no time. For those who are careful about energy saving, there is even a LED saving timer. This model can be found on Amazon for the price of 99.96$. It has a powerful motor that produces 500 cu per every minute and the fan can cool down up to 100 feet of room. This is a very powerful model that can be great option if you have a larger living space in your home. There is a 4 speed system and an LED saving timer that can be set up to 1, 2, 4 and 8 hours. Just like the previous model, his one is quiet and it won’t get in the way throughout the day. Voltage is US and the warranty you are getting is 5 year warranty. 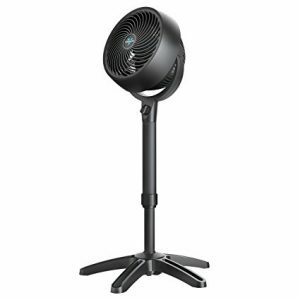 This compact and one of the Best Vornado fan is a great option if you have a smaller space to cool down, since the price is only 29.99$ and the size fits perfectly in small spaces. You can even carry it in your suitcase if you are planning to go on a vacation.it is only 8.7 inches in height. It uses the Vortex technology and unlike others here, it only has a 2-speed setting. The grill can be removed when cleanings, so it makes everything easier. Warranty is 5 years and the voltage it uses is US. This is still a powerful fan if you want to cool down a smaller room in your home and make it nice during the summer days. 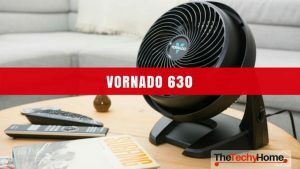 This Vornado fan can be found on Amazon.com for a price of 59.99$. 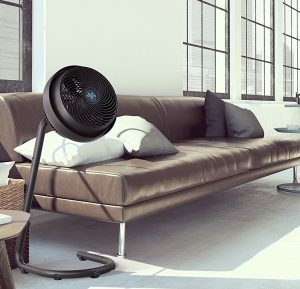 This Vornado fan uses the Vortex technology which allows the air to circulate around the room you place it in. this system uses the existing air in the room and circulates it at a high speed and cools down the air in the room. The blades of this fan allow the air to move at a speed of 70 feet. This allows the air to cool down quickly and makes the room nice and cozy to be in. one of the best things about this Vornado fan is that this fan is quiet and there is no sound coming out of it. You can’t even notice that this fan is working, so you might find yourself coming to it to see if the fan is working or not. This fan has a three speed option, so you can set it to the slowest speed if you just need a slight breeze in your room. Grill can be removed so you can clean this fan quite easy. The airflow is multidirectional. On a specific model we listed here that is on Amazon.com, you get a five-year warranty. 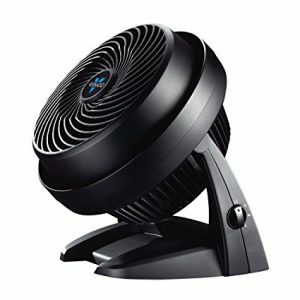 People often buy this Vornado fan because it is medium sized and it fits perfectly in rooms that are smaller. So, if you are looking for a powerful machine but still want to keep your space, this is the fan for you. 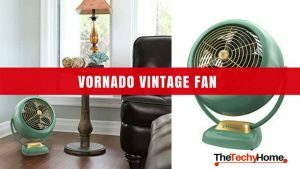 This antique-looking one of the Best Vornado fan is perfect for those who want to add a bit of style to their room, but still keep the room nice and cool. 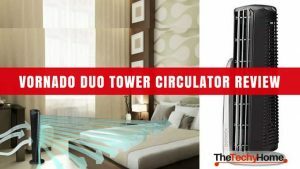 This is another air circulation fan that is a perfect option for those who want to cool down the air in their home but don’t want to use air condition. Price of this fan is 89$ on Amazon.com. 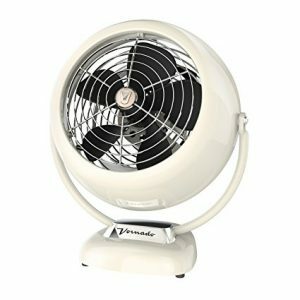 The Antique VFAN Vintage floor fan uses the Vortex technology that circulates the air around the room at high speed. This makes your room nice and cool, but you are not sacrificing your health or the electricity. Fan is made out of metal and the style is vintage, so it doesn’t really fit in the more modern rooms. This vintage floor fan is based on an old Vornado fan that was produced in 1945. There is a three-speed system so you can adjust the speed to your liking. The airflow is multidirectional. Warranty on this fan is 5 years and it uses US voltage. 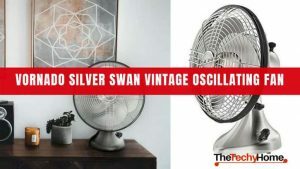 If your home décor is more rustic or antique, this powerful fan is going to fit perfectly into your home and make the rooms inside of it nice and cool. This Vornado fan belongs to the more expensive ones and its price is 119$. You can find it on Amazon.com just like the other fans. Like the previous models, this model is powerful and a good buy for your money, if you have a bit more to splurge on a fan. One thing that sets this fan apart from the others is the adjustable stand, so you can adjust the height of the fan to your liking. This is a great option to have if you want to make the fan blow air directly into you from a certain height. This is again a fan that works with Vortex technology, and it blows air at an incredible speed. Price for this model is high with a reason, because you get more power and better performance overall. Blades are deep-pitched which allow the air to move up to the speed of 100 feet. Height can be adjusted between 28” and 40”, but you can also adjust the tilt of the fan for a better performance. Just like the previously mentioned models, this one has a three-speed engine so you can adjust the speed of the fan according to your desire. This fan is also quiet so you won’t be able to hear it working at all. Grill is removable, just like in the previous models so you can clean the fan without any trouble. For the model we are presenting, you can get a 5 year limited warranty in case something is not right with your fan. The fan uses US voltage. So, if you have a bit more money to spend on a fan and if the adjustable stand is important to you, this model is going to be more than a good option for your home. 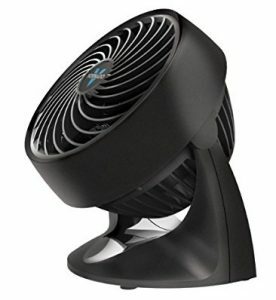 Another great option for one of the Best Vornado Fan is this model. For a price of 79$ you get a great fan that is going to cool down the rooms in your home and make the summer more bearable than ever. Price is a little bit higher, but you are truly getting something great for your money. 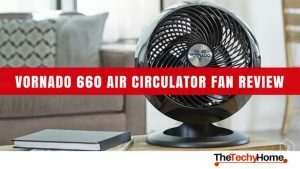 This Vornado fan also uses the Vortex technology, which allows it to circulate at a high speed and allow you to enjoy your day without that unbearable heat in the summer. This Vornado fan also has three-speed option for you to adjust the speed at your liking. There is an adjustable handle that can of up to 38”. Airflow is multidirectional and the fan s overall easy to assemble without many parts. To assemble this fan you don’t have to use tools and you even get a 5 year warranty for it. Head of the fan is tilted and the voltage it uses is US. When it comes to style, it comes in black color and it mostly fits modern-style homes. This is a great and cheaper replacement for the above mentioned Vornado with an adjustable height, since the price is 30$ lower. If your goal is to find a best Vornado fan but smaller than the previous ones, then this model might be a great option for you. It comes in white and black colors and modern design, and you can buy it for 49.99$ on Amazon.com. This small fan is still pretty powerful since it can circulate air at a speed of 70 feet and has three speeds for you to choose from. There is a 5 year guaranty for this model and the voltage it uses is US voltage. Grill is also removable so you can clean this fan easily. This small fan is going to give you the necessary result without spending a lot of money or sacrificing the space in your home. These two fans are both powerful and have the ability to cool down your room in minutes. On this list, they are at the top when it comes to prices, since the 154 model is 85.85$ on amazon while the 184 model is 139$$. Price is a bit higher in the 184 model, but whichever model you choose you won’t be sorry. The 154 model can cover up to 80 feet of room, while the 184 model can cover up to 100 feet. This is their biggest difference, since for only couple of dollars you can get the newer model and cover more room when the fan is working. They both have LED timers that can be set up to 1, 2, 4 and 8 hours, which means they save energy. Seems like the customers have already decided on their preferred model, since the 184 model has around 570 reviews, while the 154 model only around 200. Even though you would save some money with buying the previous version, if you have money to spend on a fan than the 184 model is definitely a better option. But, if you don’t have large rooms to cover and cool down, the 154 model is going to work perfectly fine and there will even be some money left over in your pocket. Both fans are definitely one of the Best Vornado Fans use the US voltage and have a 5 year warranty, so pick the model that best suit your needs and enjoy the warm summer days in a cooled down room with a daring in your hand. Hopefully this review is one of the more helpful Vornado Fans Reviews and that we made your job easier.